The lastest plan is to open on National Day 2018 which begins October 1 and ends October 3. The article that this layout is from says that the park will open in the "second half" of 2018 meaning that it'll probably open later than July, which was previously reported in a different article. 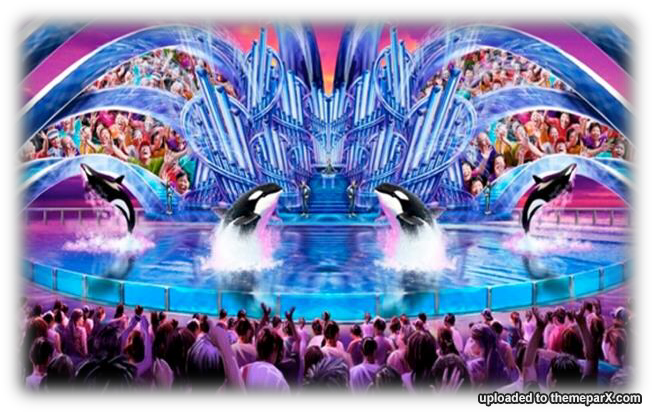 My sources in China are telling me that Haichang Polar Ocean Park may already be in possession of four to five Russian orcas. The letter issued by China's Ministry of Agriculture on December 7(http://www.orcahome.de/chimelong.pdf) states that there were no orcas approved for importation by Shanghai Haichang Polar Ocean World. So how could this be? 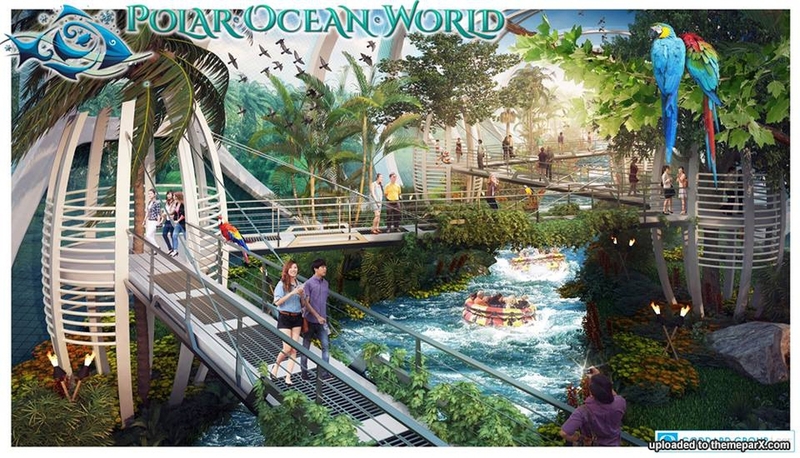 First, Haichang Polar Ocean Park is a publicly traded company based in Hong Kong and incorporated in the Cayman Islands. It owns and operates China's largest chain of marine life parks. As such, the company owns numerous operating subsidiaries and holding companies. Haichang Ocean Park itself is majority owned by China's Dalian Haichang Group, an international conglomerate with more than a billion dollars in assets and subsidiaries ranging from shipping fleets to some of the top French wineries. Quite simply, when the request was sent about permits issued to Shanghai Haichang Polar Ocean World, it was the wrong company to ask about. The orcas were likely imported under a different subsidiary name from within the huge Haichang umbrella of companies. Second, there may be something more devious going on with the Russian side of the transaction. This fantastic article (you'll need to run it through a translation program if not fluent in Russian) mentions the well known tale (at least in certain circles) of the three walrus pups that White Sphere/White Whale says it transfered to its dolphinarium in Yalta under government permits. Official records show all three animals died once there, even though they mysteriously appeared at the notorious Grandview Aquarium in Guangzhou, China, which earlier this year The Dodo labeled possibly the worst zoo in the world (I'm not a big Dodo fan, but I agree with them on this one). White Sphere/White Whale is currently Russia's largest player in the orca brokerage market. At least two of the three orcas at the Moskvarium and most, if not all, of the orcas at Chimelong are either owned or were sold by this company, which has strong ties to the Putin government. I have no reason to doubt that these additional orca may have been imported under the radar and through backdoor channels.and are not therefore "officially" in China. The Goddard Group shared another concept image from this park today. I still haven't seen any work taking place (going to go and try to find some) but apparently they are due to open in 2018. 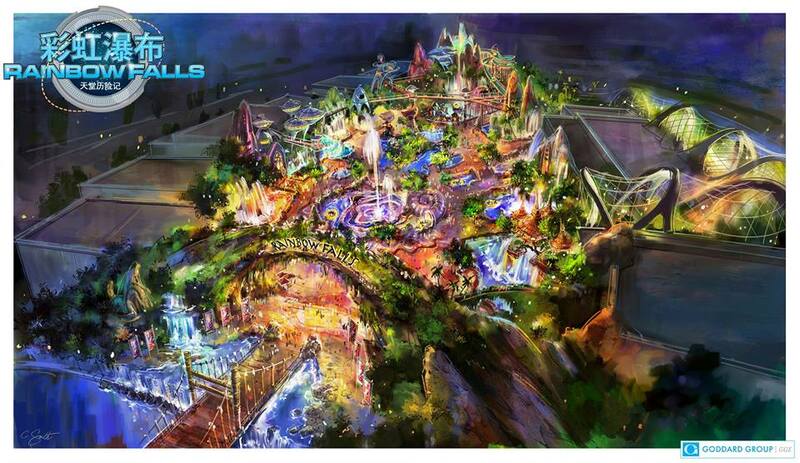 This breathtaking concept art by Christopher Smith depicts Haichang Polar Ocean World's RAINBOW FALLS land. The park, now under-construction near Shanghai, is anticipated to debut in 2018. Interestingly, they held a groundbreaking ceremony in March 2015 too! 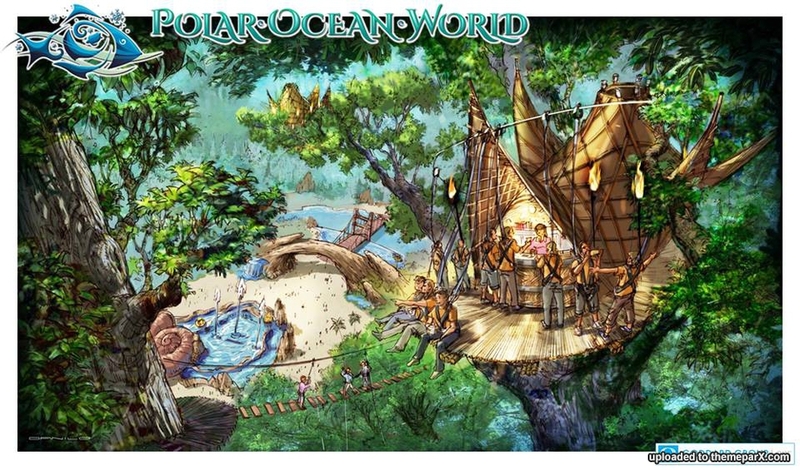 Polar Ocean World Shanghai had its official groundbreaking on March 30, 2016. 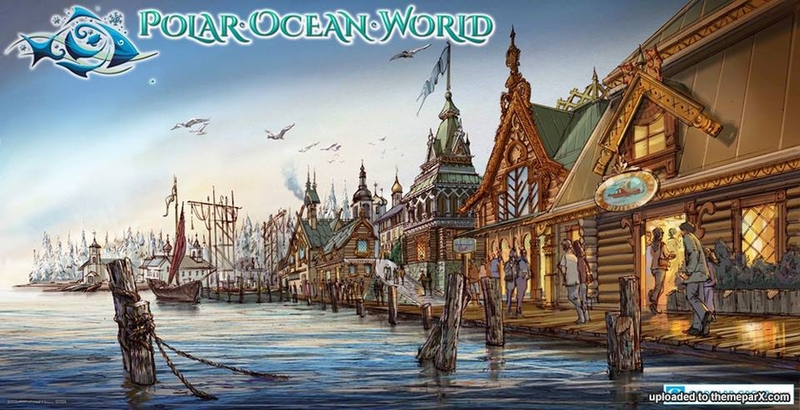 The Shanghai Haichang Polar Ocean Park project is the first large-scale world-class flagship marine park of Haichang Holdings, which will be based in Shanghai, opening-up Haichang Holdings theme park offerings to the East Asian market.The park will compete competitively in the international tourism market. 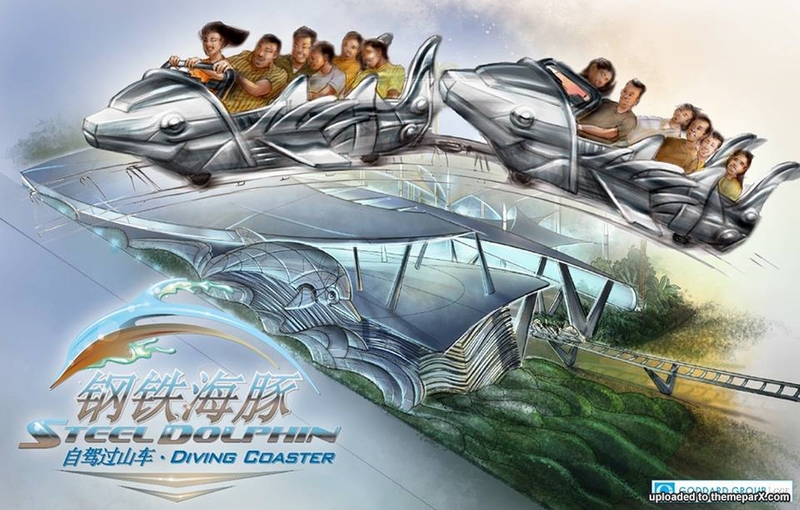 Haichang Holdings is aiming to create a "top-five" world-class marine park, with the largest number of marine species on exhibition, the most innovative display methods, the most entertaining marine animal shows, in addition to the most diverse range of science-themed educational programs and comprehensive entertainment experiences. 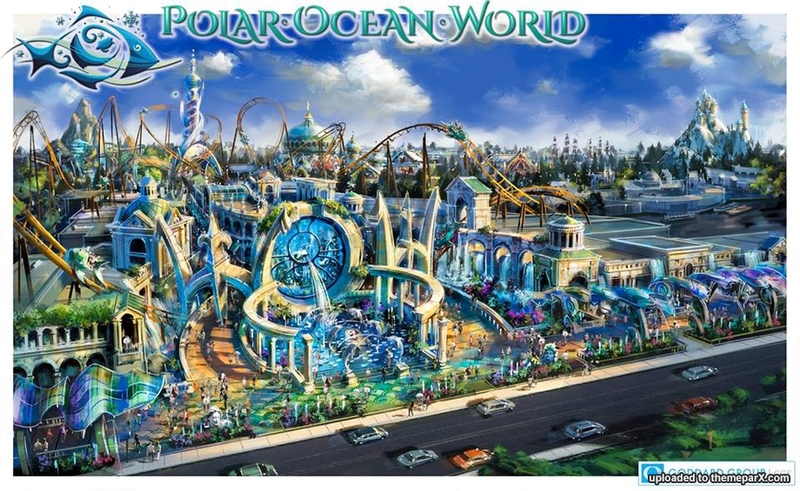 Located by Dishui Lake in Lingang, Shanghai, Shanghai Haichang Polar Ocean Park is situated at a site area of approximately 297,155 sq.m., and has a total gross floor area of approximately 190,152 sq.m. with 12 exhibition halls, 4 marine animal interaction experiences plazas, 3 cinemas with special effects and 15 medium-to-large scale amusement rides. 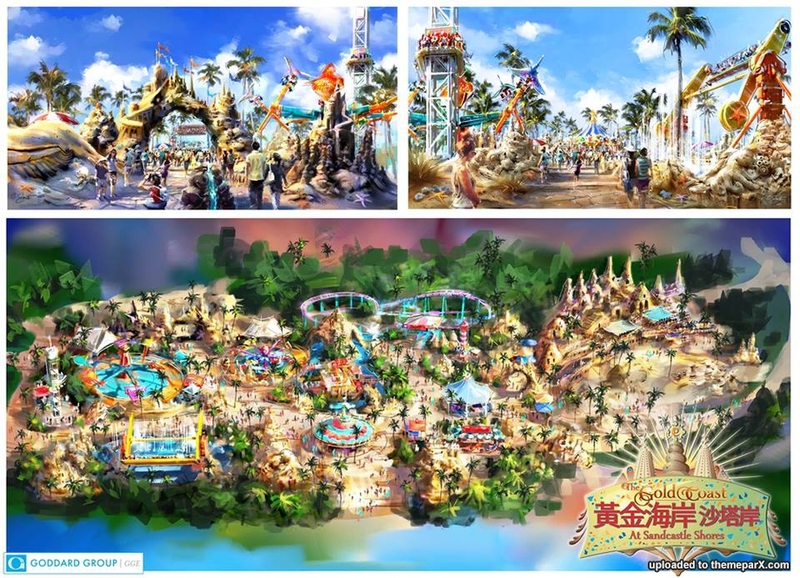 Adhering to the development concept of building a "Marine Cultural-themed Experience Complex", Haichang Holdings has commissioned a number of key international firms, who have also participated in Disney's and SeaWorld's projects, to aid with the product positioning and strategic development, and the overall concept development. 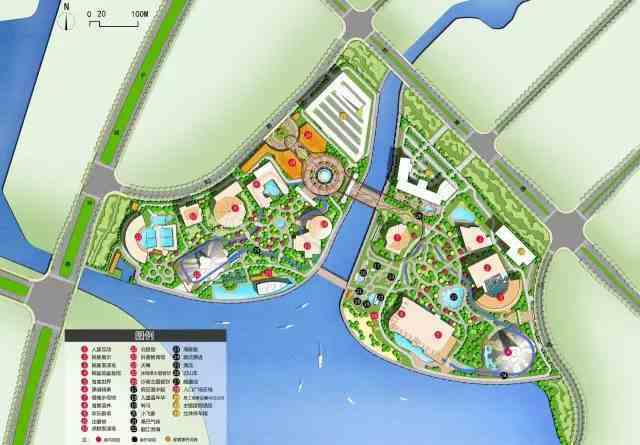 Haichang Holdings aims to offer a "top five" large-scale world-class flagship marine park. The project today has officially entered the development and construction phase, and set to commence operation in 2017. Attendance is expected to amount to six million per annum after entering into a steady growth period. Meanwhile,the high profitability of the project is expected to lead to an internal yield higher than that of the leading level of international industry. 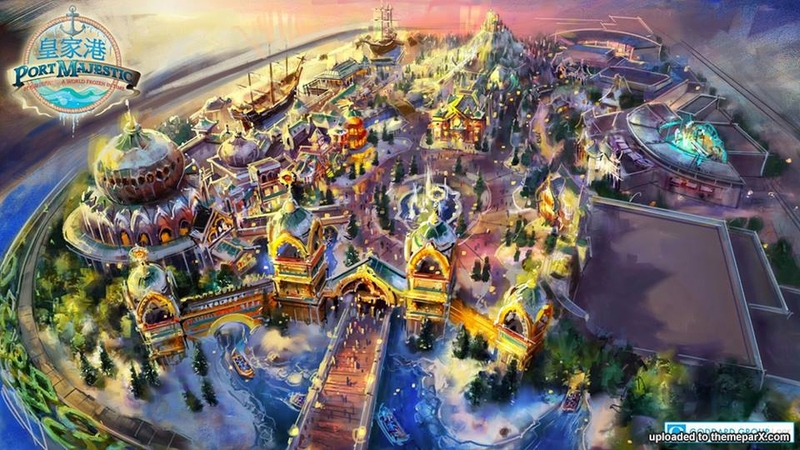 In addition, it' will only take an approximate 25 minute drive from the project to Shanghai Disney Resort, which is expected be open in 2016, and have a strong synergistic impact. The two projects will jointly propel Pudong to become the biggest tourism destination and core world-class tourism city in East Asia, promoting the development of Shanghai as a world-renowned tourism city. 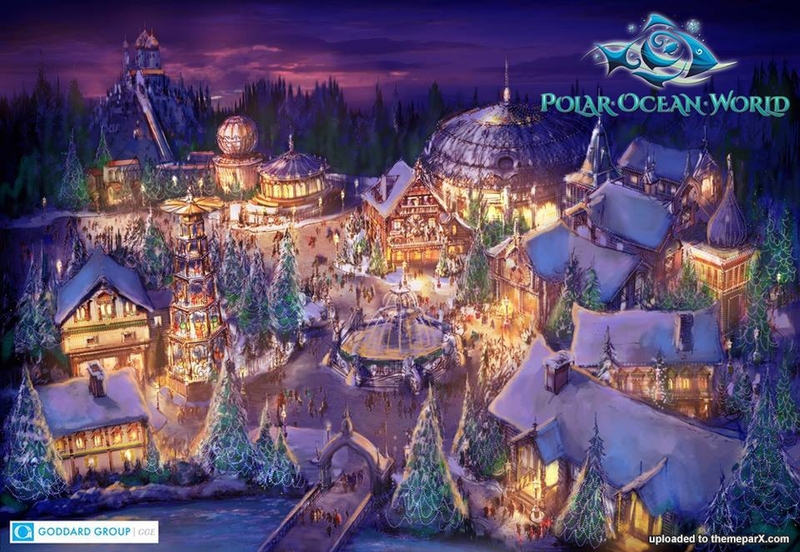 According to these two sources: http://app.scmp.com/scmp/mobile/index.html#/article/1750564/desktop and http://www.meet-in-shanghai.net/news/news.php?id=2060, Polar Ocean Park will open by the end of 2017. Should this thread be moved to "under construction"? 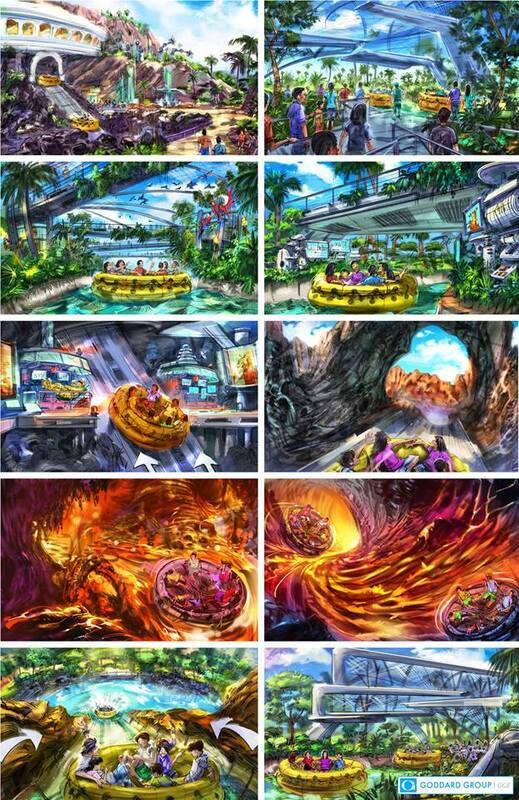 These vibrant storyboards from Dalton Nunez capture the excitement of Haichang Polar Ocean World's signature spinning rapids ride, FIRE FALLS. 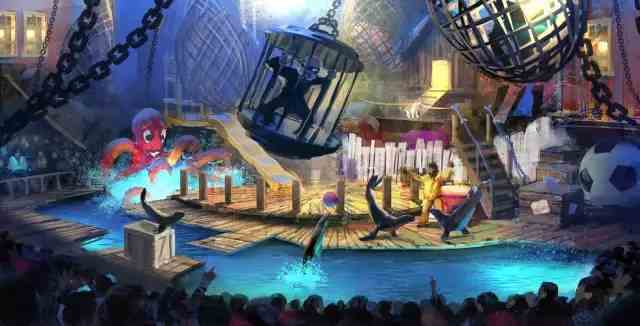 Now under-construction near Shanghai, the park is slated to premiere in 2018.